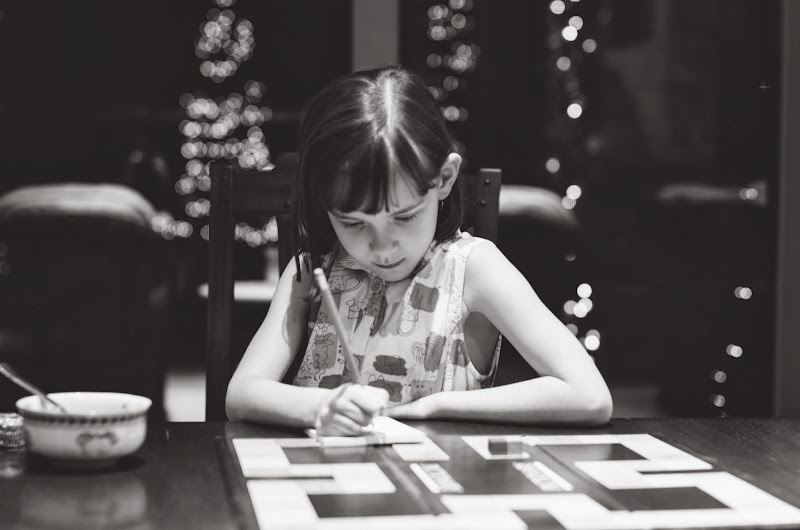 Julia: playing Pictionary for the very first time at her grandma's house. The teams were: Julia, my mom, and my stepdad, versus Andrew & I. 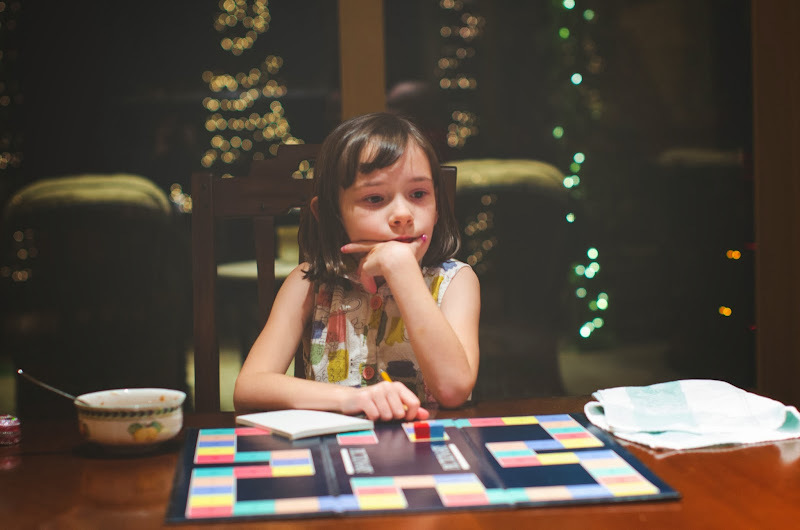 It became clear about halfway through the game that Julia was not on the winning team, sorry grandparents! She desperately wanted to switch teams. We told her, hey, you shouldn't abandon your team just because they're not very good. You should try and help them improve! She looked at us as if to say, there is no help for this lot. Apparently, Andrew and I are not allowed to be on the same team anymore. Well I can already tell that the one-picture thing might be problematical for me, as you can see, we have two for this week. I love this project. SO much. (We'll see how much I love it in six months) I love the documentary aspect of it -- the challenge I think we'll find in our family is that Julia is too old to be unaware of the camera and she's a natural ham who likes to pose. So I have to remind her, forget I'm here, just carry on with what you're doing. I think a cameraphone might be more easily ignorable. But I don't have one of those! Got a cool book to show you later in the week ~ yes we still discuss books around here! Poor Julia! I would be pissed too if I was in a losing team! She looks very serious and focused. You are lucky she is playing along and having fun posing! I can't get my kid to stop making faces every single time I take a picture! she's looking extremely grown up. beautiful young lady.